Sri Amritsar Sahib - After the heretic Darshan Singh was summoned to Sri Akal Takht Sahib, further audio and video evidence has surfaced corroborating the complaints filed by Panthic organizations that the Ragi has been openly attacking fundamental Sikh concepts and practices such as the sacred Nitnem, Amrit Sanchar ceremony, and the Sikh Ardaas. Panthic organizations have requested the Apex Sikh Takht to take strict action against the blasphemous ragi for violating Panthic edicts, challenging age-old Panthic traditions, and hurting Sikh sentiments. 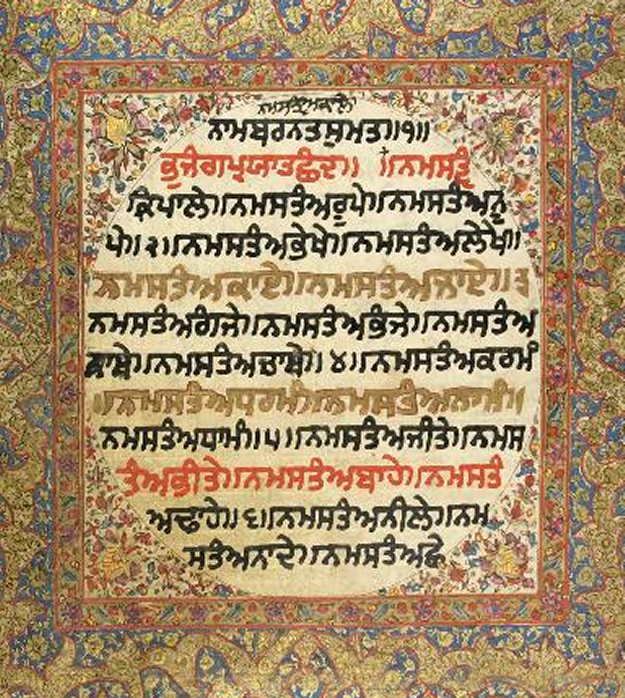 The Ragi has been ordered to appear at Sri Akal Takht Sahib at noontime on December 5th, 2009. For the benefit of Panthic.org readers, below are a small collection of audio and video clips evidencing the Ragi’s offensive remarks. "ਦਸਮ ਗ੍ਰੰਥ…ਜਦੋਂ… ਨਿਤਨੇਮ ਦੀਆਂ ਕੁਝ ਗੁਰੂ ਸਾਹਿਬ ਦੀਆਂ ਰਚਨਾਵਾਂ ਜਿਹੜੀਆਂ ਨਿਤਨੇਮ ਵਿੱਚ ਸ਼ਾਮਿਲ ਕੀਤੀਆਂ ਗਈਆਂ ਉਹ ਰਵਨਾਵਾਂ ਉਹ ਵੀ ਗੁਰੂ ਸਾਹਿਬ ਦੇ ਵਕਤ…ਨਹੀਂ, ਮੈ ਇਹ ਗੱਲ ਸਪਸ਼ਟ ਕਰ ਦਿਆਂ – ਗੁਰੂ ਦਸਮ ਪਾਤਿਸ਼ਾਹ ਦੀਆਂ ਰਚਨਾਵਾਂ ਨਿਤਨੇਮ ਦਾ ਅੱਜ ਜਿਹੜਾ ਅੱਜ ਰੂਪ ਅਸੀਂ ਵੇਖਦੇ ਹਾਂ ਇਹ ਗੁਰੂ ਦਸਮ ਪਾਤਿਸ਼ਾਹ ਦੇ ਵਕਤ ਦੇ ਫ਼ੈਸਲੇ ਨਹੀਂ"
"There is no proof that the five Banees we recite today are the ones that Guru Dasam Patshah recited (during Amrit-Sanchar)"
"These works (first part of Sikh Ardaas) are in devotion of Bhagautee Devi..."
"Accept ONLY those works of Guru Dasam Patshah that are in-line with Gurmat"
The true motives of the Ragi and his avid supporters, the Spokesman-Kala-Afghani combine, are rapidly becoming clear. Their goal seems to be the open invalidation of the Khalsa identity and culture. This is being done by repeatedly rejecting the sacred Khanday-ki-Pahul ceremony, the five kakkars and the concept of the Panj Piaray by simply labeling them as Brahman or RSS baggage. ਖੰਡੇ ਦੀ ਪਹੁਲ, ਕਕਾਰ, ਪੰਜ ਪਿਆਰੇ, ਇਹਨਾਂ ਨੂੰ ਗੁਰੂ ਰੂਪ ਜਾਨ ਕੇ ਪੂਜਨਾਂ ਇਹਨਾਂ ਨੂੰ ਮਥੇ ਟੇਕਨਾਂ ਤੇ ਇਹਨਾਂ ਨੂੰ ਬਸਤਰ ਅਸਤਰ ਦੇ ਨਿਵਾਜਨਾਂ ਇਸ ਝੂਠੇ ਬ੍ਰਾਹਮਨੀ ਇਤਹਾਸ ਦੀ ਦੇਨ ਹੈ। ਇਹ ਸਭ ਗੁਰਮਤਿ ਵਿਰੁਧ ਕਮ ਅਜ ਸਿਖ ਕਰ ਰਹੇ ਹਨ। ਕੀ ਇਸ ਕੂੜੇ ਇਤਿਹਾਸ ਦੀ ਅਸਲ਼ੀਅਤ ਨੂੰ ਗੁਰਸਿਖ ਸਮਝਨਗੇ?" The Sikh community needs to be vigilant against continuous onslaught on the sacred Sikh traditions, and reject the message being spread by the heretical Ragi and his band of atheist riffraffs. Ragi Darshan is giving misleading information in the Sikh community ragi should be dealt with according to the Khalsa tradition . . . When will Sarna remove the black glasses? When will Missionary Colleges open their eyes? They should snap their unconditional support to the Ragi...He is drowning, and he will take them along! Panthic.Org is requested to put the evidential video back..maybe by uploading on their own dedicated server and then embedding it on the webpage again. Alternatively a counter-notification may also be filed with YouTube. There is no way Darshan can contest it as copyright material. If he is so confident of what he has said why not let people listen to it? A lier, a coward and a 'Guru-dokhi'..oh no wait, a 'Guru-Nindak' - this is the title that Sri Akal Takhat has now officially given to Darshan. This true. Ragi and his cohorts are doing their best to get his videos removed from YouTube so the sangat does not see the anti-Gurmat venom the Ragi has spewed in his speeches. They are filing complaints that all online videos are copyrighted by the Ragi, and having them removed from public video sites. If believe Ragi is such a wonderful Sikh and speaks the truth, then why are they trying to remove all his uploaded videos? Obviously they have something to hide. if these all comments r given by mr. darshan then why this video is not available in d market . make its copy & distribute. show d truth to d sangat so that they will get to know d true ideology of d former kirtaniya. Today also most of d sangat dont know about this whole matter.